in a Gastronorm compatible size, this large commercial fridge is perfect for storing large amounts of food in a commercial setting. 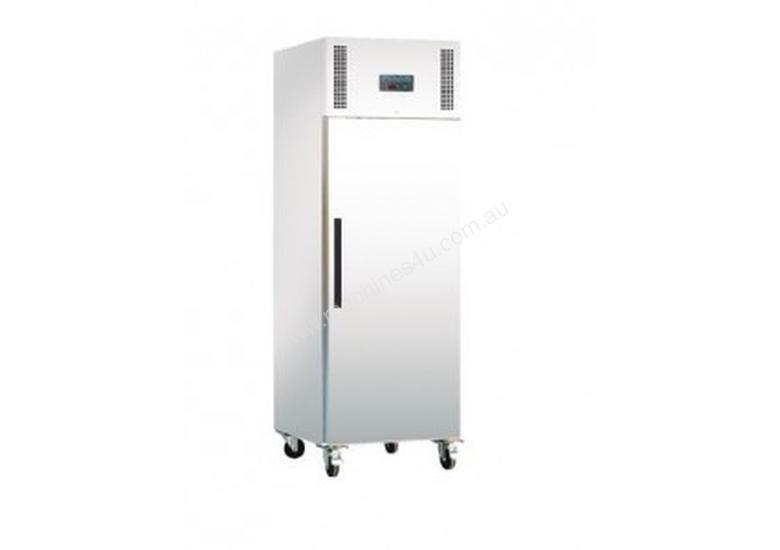 This premium quality fridge features front braking castors, and uses forced air cooling to provide a rapid chill recovery rate. two floor protectors and user friendly controls with digital display. This fridge is made from stainless steel with a white coating. Ensure you maintain a 20cm gap between the machine itself and the wall to allow the ventilation system to function effectively. This unit it also not suitable for use next to a heat source.